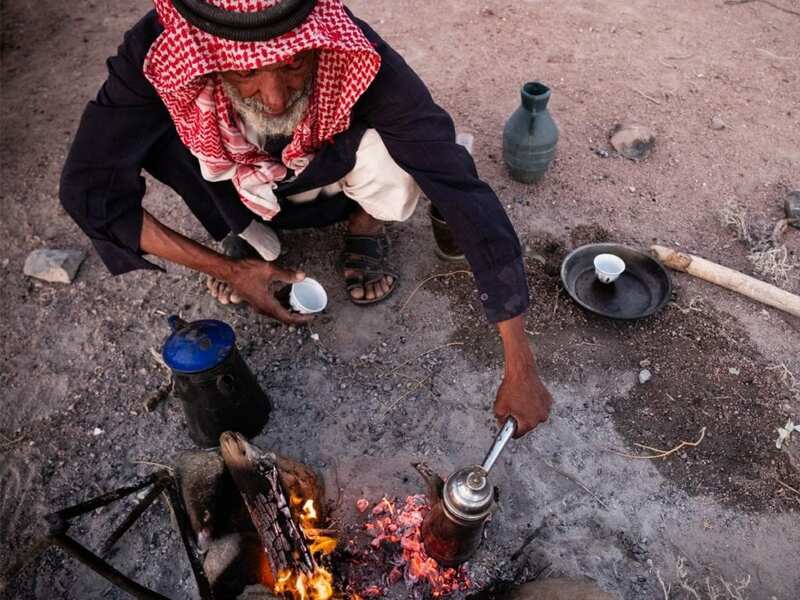 Sip tea with local Bedouins. 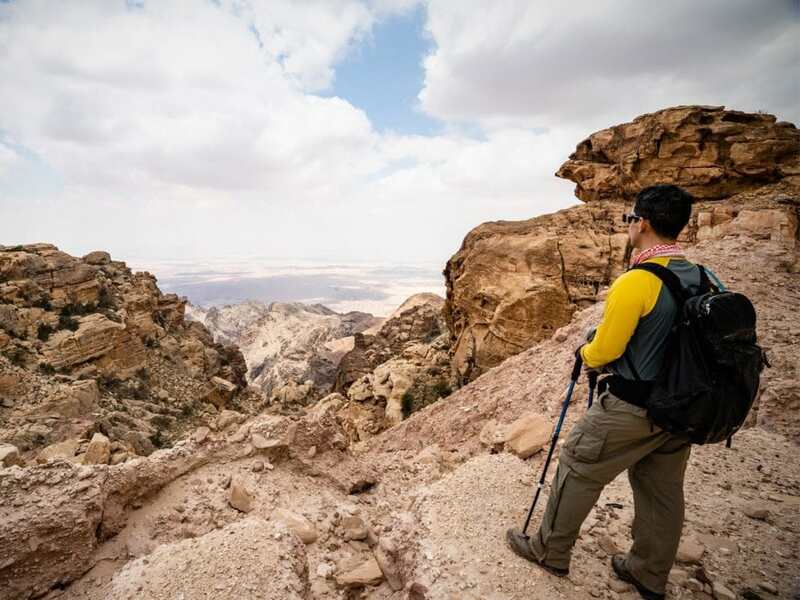 Take in the sights from the highest peak in Jordan. 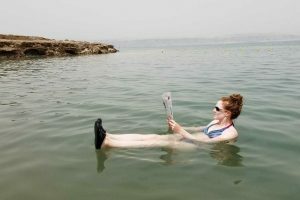 Relax, swim and float in the Dead Sea! Have the adventure of a lifetime! If not now, when? 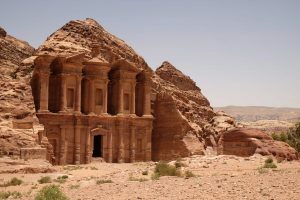 Known for the iconic ancient wonder of Petra and the natural beauty of the Wadi Rum desert, Jordan is an exciting destination with much to offer travelers. Exploring Jordan is a trip of a lifetime. With us, you’ll discover all 7 wonders and more! Take a note from Indiana Jones and explore the ancient wonders of Petra. Spend the day exploring thousands of years of history at this ancient Nabatean capital city. You’ll get to again experience the wonders of Petra – also visiting at night, it’s a sight to behold under the twinkling stars and candlelight. 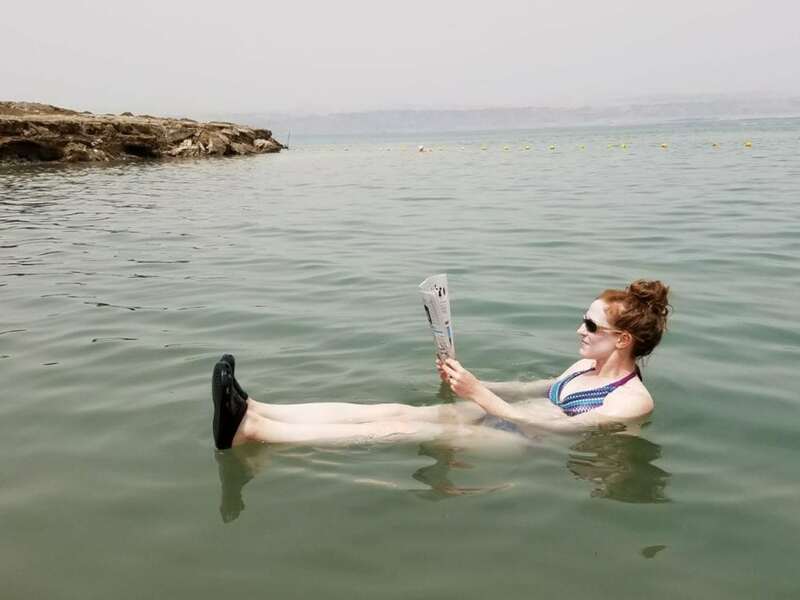 Relax while floating in the Dead Sea. One of the most popular destinations, it’s a time to unwind and enjoy. It also makes for a perfect picture opportunity – you will be the envy of your friends! 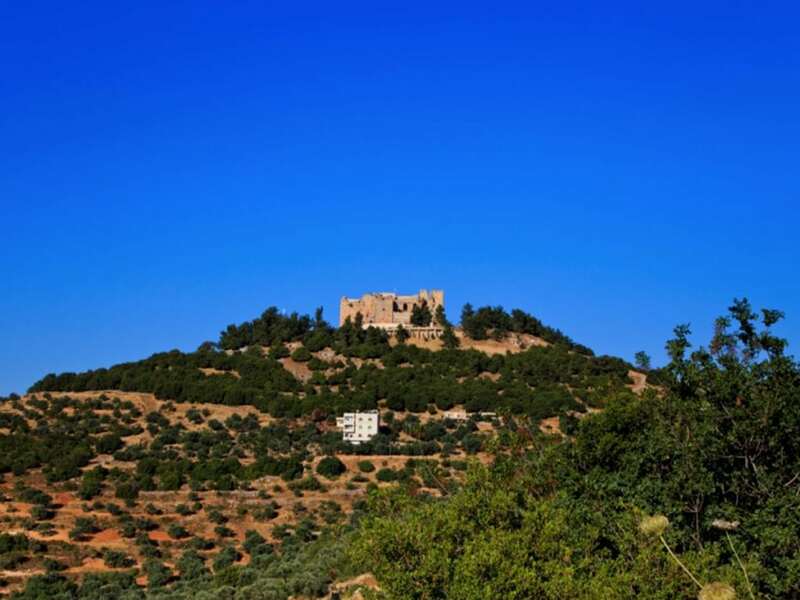 Hike in the undiscovered wonders of Ajloun Nature Reserve and Forest in the north of Jordan. Marvel at the lush forests and fertile land. Enjoy sipping tea with the local Bedouin families. Learn all about their interesting history, culture and exceptional traditions. A truly authentic experience that can’t be missed! Hike to one of Petra’s most impressive monuments. A short, 1-hour hike is all it takes to get you there. It will be worth it once you see the beautifully carved architecture and breathtaking views. 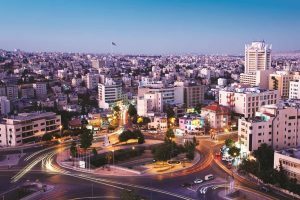 Explore Jordan’s thriving, modern capital city Amman. A little shopping at the local markets is a must! Hike to one of Petra’s most impressive monuments. We will spend the day hiking the off the beaten path hidden trails and back doors around the site of Petra. These paths have been used for hundreds of years by the local bedouin and date back to the ancient Nabatean time. It will be worth it once you see the beautifully carved architecture and breathtaking views. 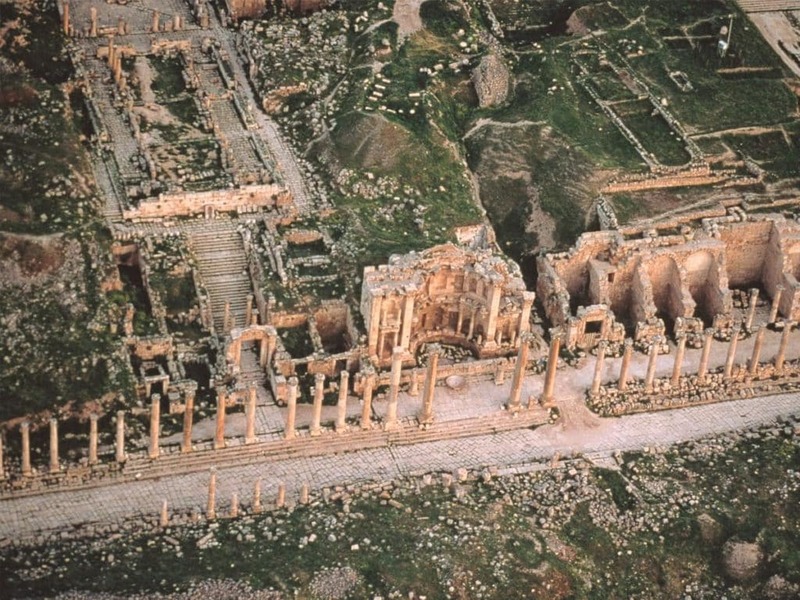 Discover Jordan’s Roman heritage at the ancient site of Jerash, also called the Antioch on the Golden River. 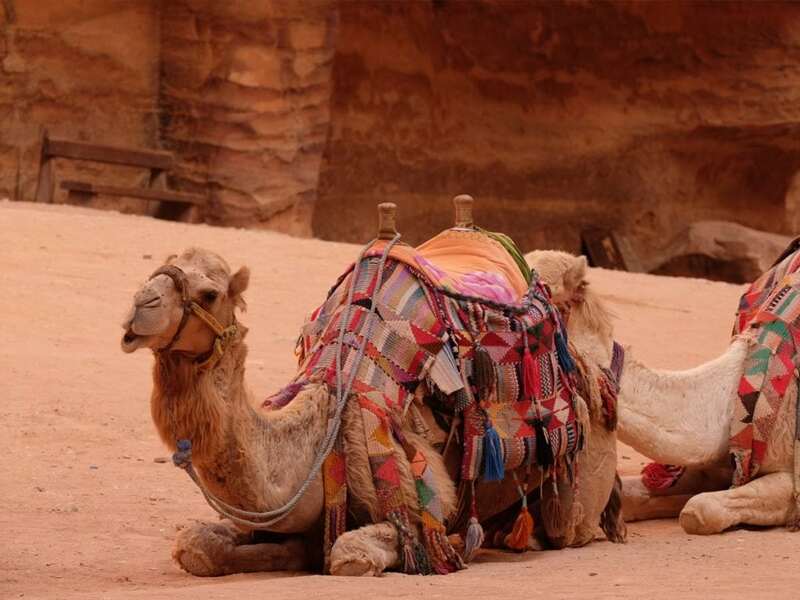 Camels have always been an integral part of bedouin life in Jordan! 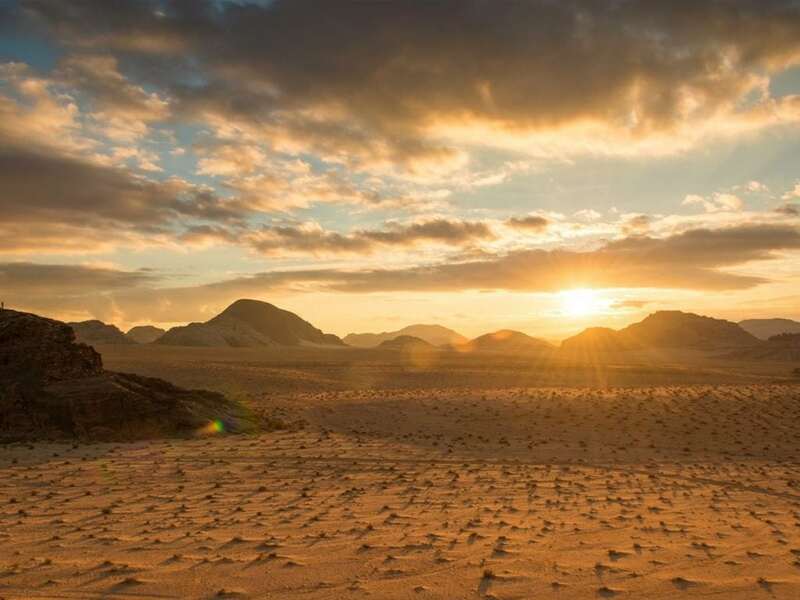 Experience a spectacular sunrise camel trek through Wadi Rum. Explore the natural wonder and martian-like landscape of Jordan’s red desert, Wadi Rum. Hike among the towering sandstone monoliths, star gaze at night, and learn how the bedouin have been shaped by this rugged landscape. You’ll visit the very best of Jordan, dive into the culture, get to know local Jordanian families, and more! Watch the video below for a preview of what’s in store for you. If not now, when?! Book now, we only require a 15% deposit to book your spot! Leave us your details, we’ll give you a call! 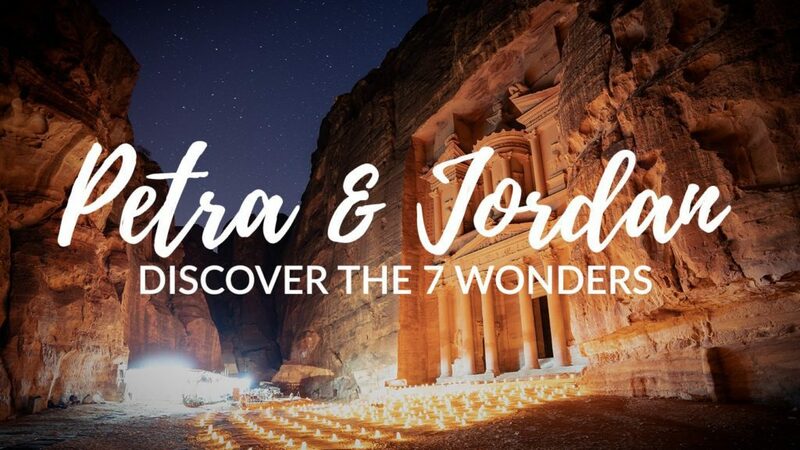 Our goal is to create unique, authentic and memorable travel experiences that allow our guests to leave as a local – with a real experience of the wonders that Jordan and its people have to offer. I took the fall 2016 tour to Morocco. It was a wonderful blend of local culture, Moroccan flavors, exploration of many cities, and educational experiences. I would go back in a heartbeat. Morocco had been on my bucket list since doing my first book report out of an Encyclopedia Britannica in elementary school on the diverse country. I was not disappointed. 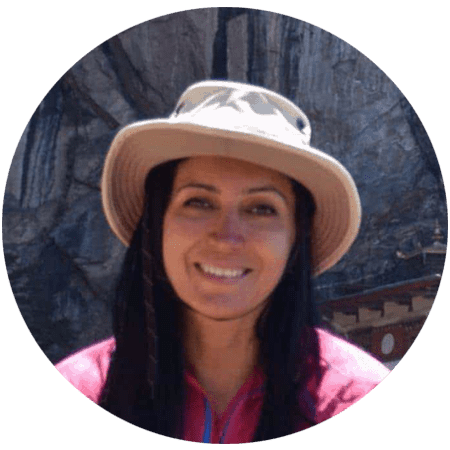 Genevieve does a great job of working with in country tour operators to ensure that you have Flawless transportation, guides, and translators. 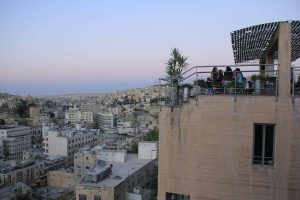 I took a two week AA tour of Jordan - Amman and PETRA. It was the trip of a lifetime. The Planning, the hotels, the local tour guides were all terrific. Genevieve is a meticulous tour director who is knowledgeable and excited to direct the tour. I could not have been more satisfied and would go again. In fact, I am. I went on the 2016 Archaeoadventures tour of Morocco and had the time of my life. The local guides, lovely accommodations, and sightseeing walks were of a far higher caliber than I could have arranged on my own. Expert knowledge of the country makes all the difference! And I was lucky to have delightful traveling companions, all getting to know Morocco together. Highly recommended, for individuals, couples, or groups of friends. Best place I came across to fill my hunger for archaeology in Middle east.. I went on the Majestic Morocco Tour and it was fabulous! It was a great overview of the country visiting all the highlights along with a few off-the-beaten-path places. The local city guides gave great insight into the history, culture, and architecture of the area. And the food - so good! I also really liked that it was a small group. You get to know the other travelers better, and don’t feel like you’re just another tourist. One of the most inspiring people you will ever meet, Suzanne is the first Arab Woman to summit Everest & first Arab Woman to climb the Seven Summits. She is a a pioneer in changing the way women are perceived and breaking down barriers, and has many interesting perspectives to share. Note: This trip is co-ed, open to both female and male travelers. Arrive in Amman, Jordan’s capital city. You will be met at the airport by a member of our local team and driven to the hotel. 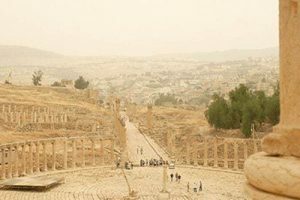 Explore the ancient Roman city of Jerash, have lunch with a local family, hike in the beautiful Ajloon National Forest, cook traditional Jordanian food and discover Northern Jordan. This evening we will enjoy dinner in a traditional Jordanian family house. We will spend the night at a local boutique home stay. Hike through the Numeira Valley near the Dead Sea. Meet the Numiera farming community and learn about how they practice sustainable farming methods. Then dine on a delicious meal prepared by the community. Proceed onto Petra. 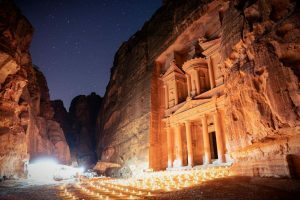 Our first view of the famed Nabataean city is at Petra By Night – witness the ancient ruins lit by hundreds of candles under the illuminating moonlight. Spend the day hiking the ancient trails of Petra – a UNESCO World Heritage site and one of the ancient wonders of the world. Discover Petra’s rich history and culture in a truly authentic way keeping us away from the crowds. 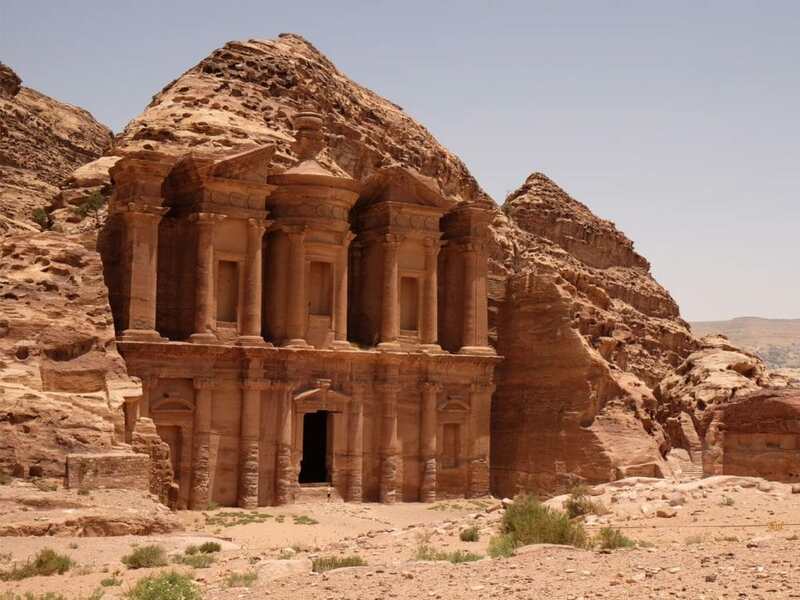 In addition to the iconicTreasury, visit Little Petra, Ad Deir or ‘Monastery’, and the main complex of Petra. Day 5: Local family visit at Petra, Explore Wadi Rum and the Valley off the Moon. Visit a local Bedouin family living in Petra and give back to the community through helping with needed projects. Drive to the magnificent red desert of Wadi Rum. Enjoy a traditional Bedouin style BBQ lunch. Dine with a Bedouin family (the nomads of Wadi Rum), and experience some of their traditions carried out in the desert. Make fresh bread, cook our own BBQ lunch, and herd goats as a part of our desert learning experience. Have tea and watch the sunset from atop beautiful mountain in Wadi Rum and camp under the stars. Hike to the summit of Jabal Umm ad Dami, Jordan’s tallest peak. Explore Wadi Rum by 4×4 jeep. 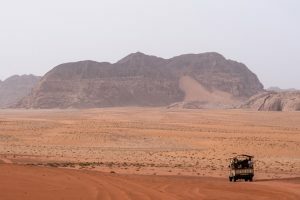 Take a 2 hour jeep ride through the beautiful desert and towering sandstone mountains, exploring the red sand and rock wilderness of Wadi Rum. Visit iconic locations including some of the famous sites related to the Lawrence of Arabia, as well as some beautiful rock formations and learn about the unique vegetation and terrain. We will enjoy another spectacular sunset with sweeping views atop one of the many desert mountains in Wadi Rum. We will spend the night at a luxury camp with cozy beds, hot showers and electricity. Take a sunrise camel trek. Then drive to the D ead Sea. We will be spending the remainder of the day and next morning at our gorgeous Dead Sea resort. Relax while floating in the Dead Sea, the lowest land place on Earth. With 9 times more salt than in the ocean gives incredible buoyancy (and fun photo opportunities). In the evening, we will enjoy a farewell dinner. Late hotel check out this day to let you enjoy one more soak in the Dead Sea, enjoy an early morning sunrise over this unique body of water (optional) and the lavish breakfast spread our hotel offers. Then transfer to either Amman Queen Alia International Airport for your departure flight or to Amman. Note: Due to cultural sensitivities of working in Bedouin regions very few women work as country and adventure guides/tour directors in Jordan (as opposed to city/culture guides). For our 2019 Jordan Tours our Main Guide & Tour Director is a wonderful male guide. We are working with our inbound team to develop female guides in this role. Many of our local culture and cities guides though will be women. Itineraries are subject to change: Traveling in developing and growing nations can come with many surprises and unexpected challenges. We try to be flexible to take advantage of opportunities that arise and any changing situations, so we can give you the best possible experience on the tour. Changes to the itinerary are not cause for a refund. We do our best to follow this itinerary, but sites can close unexpectedly and without prior notice according to the discretion of the government. Itineraries, transportation and hotels are subject to change due to weather, road conditions, operating conditions, government decisions or numerous other reasons beyond our control. The guide retains the right to change the itinerary for safety and convenience of the travelers. We do our best to follow the laidout itinerary, but sometimes unforeseeable situations arise. Traveling in developing nations, transportation, hotels, restaurants and sites can close with little warning due to continuous growth and change. Small group of 6-10 like-minded travelers. (Minimum of 6 travelers for this trip and a maximum of 10 travelers). A quarter of the size of most tour groups. This small-group tour provides an intimate and personal experience in Jordan. 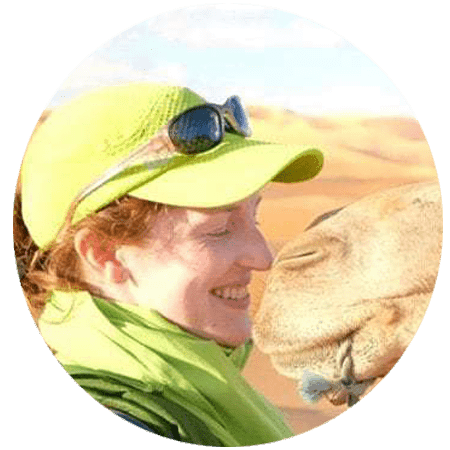 Full-time knowledgeable, engaging professional local expert ArchaeoAdventures Tour Leader and local expert guides who will bring to life Jordan’s rich, complex and important history, as well as, help you understand the Jordan and its culture. We will explore Jordan with both our main Tour Leader guide and also local guides who are experts in local tradition, culture and history. They are often members of the local community and can help us experience Jordan like a local. Note: We work with local women guides wherever we can. Jordan currently has very few women working as guides. Due to cultural reasons women do not guide on trips that visit local Bedouin communities. We are working with incountry team to help develop women guides across Jordan, but at the moment this tour works with a mix both excellent male and female guides. In the local communities we will meet local women and learn about how they are leading their communities. Jordan is a country that is rapidly changing. Its an exciting place to visit, experience that growth and be part of it. Jordan Pass and Visa for Jordan. All tour in-country transportation in Jordan. Comfortable, memorable hotels, home stays, and desert camps. Guaranteed tour price. Once you make your deposit your price is locked and guaranteed. No in-country cash payment. Many tour companies require in-country cash payments. This is a way to keep the initial tour price appearing low, while you actually pay a much higher price for the tour. We believe in the costs being upfront and no hidden fees. We include all tour costs in the listed price. Optional single supplement . Looking to bunk by yourself in your own room? We’ve included a number of single rooms for an additional fee. Free time . We know how important it can be to have a little time built in for you to explore on your own or simply take a moment to relax. We’ve carefully planned our tours to provide you a balance between structured travel and free time. Flights to and from Jordan. Note: This tour begins and ends in Amman, Jordan. Beverage purchases at meals. Water will be provided at meals. Travelers are responsible for additional beverages. Bottled water (outside of meals) and snacks. We recommended budgeting $5 per day for bottled water and snacks. Meals on arrival day. Lunch and dinner on departure day. We recommended budgeting $15-$20 for lunches and $20-25 for dinners. Tips for day guides, main guide, and driver. Please see tipping guidelines for recommended amounts. Traveler’s Insurance. All travelers are required to have traveler’s insurance for this trip. Plans usually start at $80 and can cost as much as $500 depending on the extent of the coverage you wish to have. Check with your health insurance company regarding if they cover illness overseas and how to file a claim if you are sick overseas. Not all insurance companies cover overseas illness. We require all travelers to be fully covered for medical coverage and trip cancellation. Only the deposit is due at the time of booking to secure your spot on this tour. Our tour prices are an excellent value and a good investment, while also reflecting our beliefs in responsible travel. We believe that part of responsible tourism, of traveling with intention and being accountable for our choices, is using the economic power of travel to employ qualified and talented local women guides, tourism professionals and help local communities through good tourism jobs. When you book a trip with ArchaeoAdventures you are actively helping economically empower local communities and local tourism professionals in Jordan. Deposits: The deposit to secure your spot on this tour is 15% of the total tour cost (including single supplement rate and any extras or add-ons purchased through ArchaeoAdventures). Your deposit is refundable for 30 days from the date your deposit was paid. After 30 days your deposit is no longer refundable and will be forfeited if you cancel your tour booking. Deposits placed 60 days – 90 days before your tour departs are nonrefundable. Payment is due in full 60 days (unless otherwise noted) prior to the departure date . No refunds will be issued once tour payment is due in full. No refunds will be issued once tour payment is due in full. Late payments will accrue a 10% late fee of the total tour cost per day on overdue payment. Overdue fees begin to accrue the day after final payment is due. If payment in full is not received within 7 days after final payment is due, the traveler forfeits their spot on the tour. Tipping: Tipping is a common cultural practice throughout the entire Middle East and North Africa. It’s a cultural practice throughout the region to tip small amounts for a variety of services. On your travels, notice the locals tipping each other for everything from opening a tomb to helping with carrying a fridge up flights of stairs. It’s an exchange of resources, a way to connect with a local community, and a way to show gratitude. Tipping is usually small amounts of money, but it’s deeply appreciated by the individual – more for what it symbolizes. For your Jordan Tour we have provided the following tipping guidelines. What you tip though is at your discretion. These are guidelines of rates if you were happy with the service provided. Tips can be given in USD, Euros or local currency. 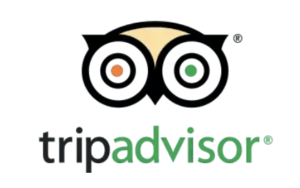 Note: To simplify the tipping process, ArchaeoAdventures Tours takes care of the tipping for all the small services – hotel staff, waiters, camel guides, camp staff. And we leave the tipping for day guides, main guide and driver to the traveler’s discretion. Driver: $6-$7/day for a great job. Camel Guides, Camp Staff, Hotel Staff, Restaurant Staff do not need to be tipped. Can you enjoy traveling in a developing nation? 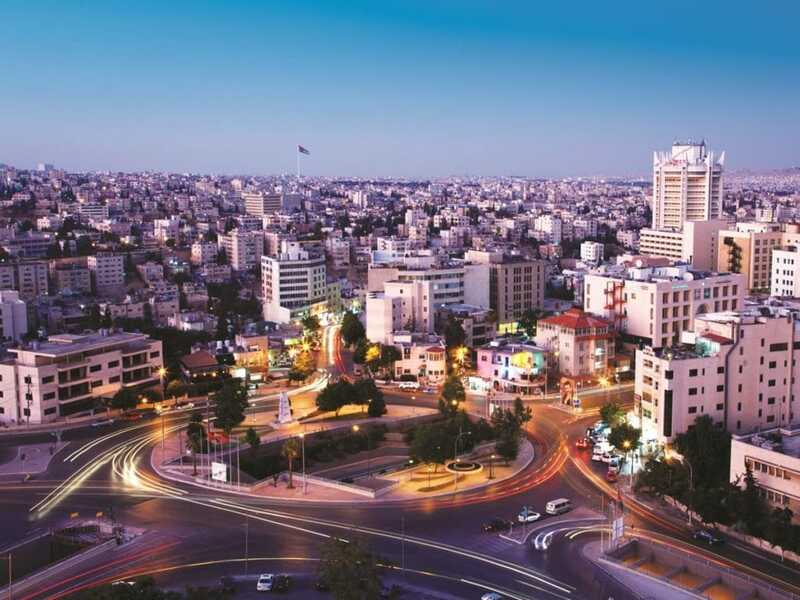 Jordan is a developing, growing nation that has been steadily moving through a fast period of growth and change. It’s an exciting and fascinating time to experience Jordan. As a developing nation many services, systems and levels of environmental cleanliness are not the same as they may be in your home country. Jordanians are a warm and friendly people and are very welcoming to travelers. This trip requires moderate activity level – sustained walking for 2-3 hours over rough terrain, cobblestone, hills, peaks, sand dunes and in the heat unassisted. This is an active tour with a 3 hour round trip (1.5 hours each way) hike to the summit of Jabal Umm ad Dami, Jordan’s tallest peak 1854 meters. Some days you may be on your feet for the majority of the day with only short breaks. A few days there will be up to 8 hours of driving. This trip is not appropriate for travelers using walkers, wheelchairs, other mobility aids, or who cannot stand on their feet for 2-3 hours while visiting sites and walking around museums. Our tours often involve a number of hours outside in hot temperatures (70F – 85F, some trips as high as 90s Fahrenheit). Two nights we camp in the Wadi Rum desert. One night we stay in a basic wild camp under the stars. For this evening, there is limited toilet facilities, no running water, No showers or modern bathroom facilities or electricity). We will be camping in tents – sleeping bags, sleeping mats and tents will be provided. Our second evening in the Wadi Rum desert, we stay at a luxury camp, with cozy beds, hot showers and electricity. Note: This tour requires all travelers to bring a reusable water bottle or hydration system to reduce our footprint and enjoy a sustainable tour free from single-use plastic water bottles. If you do not think you’ll be able to meet this level of activity requirement, or you have any questions or concerns please email our helpful staff at [email protected] . This is an active tour. We recommend that you be comfortable being on your feet for many hours and being able to hike up hill, over rough terrain for 1.5-2 hours. This trip requires moderate activity level – sustained walking for 2-3 hours over rough terrain, cobblestone, hills, peaks, sand dunes and in the heat unassisted. This is an active tour with a 3 hour round trip hike to the summit of Jabal Umm ad Dami, Jordan’s tallest peak 1854 meters. Some days you may be on your feet for the majority of the day with only short breaks. A few days there will be up to 8 hours of driving. This trip is not appropriate for travelers using walkers, wheelchairs, other mobility aids, or who cannot stand on their feet for 2-3 hours while visiting sites and walking around outdoor museums. Our tours often involve a number of hours outside in hot temperatures (70F – 85F, some trips as high as 90s Fahrenheit). We run low impact, eco-friendly, sustainable tours. We leave no traces behind, reduce plastic use and leave as small a foot print as possible with our tours. And we ask our travelers to join us in this effort – contributing to the efforts of protection of the local land, its people, wildlife and culture. All our local guides and staff are properly employed, licensed and properly equipped and trained. We utilized local products and focus on economic benefits to local communities, as well as always considering and minimize the negative impact our tours have on the land and local communities. We are growing our efforts to reduce plastic water bottle use, working with our in-country teams to find creative ways to explore countries sustainably and with as little plastic waste as possible. This is an on-going process and easier to implement in some countries compared to others due to logistic, single-use plastic water bottle alternatives and local education around recycling and reducing plastic waste. Over the next 5 years you will see our tours become ever increasingly plastic-waste free. We look forward to helping you travel and explore the region in a sustainable, plastic-free style. Bring a reusable water bottle and don’t buy one-time-use plastic water bottles. (We will provide a large jug of clean, purified water for you to fill your bottles from). Throw away all trash in properly designated trash bins. Recycle where we are able to. Note: This tour requires all travelers to bring a reusable water bottle or hydration system. We place the safety of our travelers and staff as our top priority. We are continuously in close contact with our knowledgeable on-the-ground staff, network of in-country partners and the US State Department. We update our site with the most current safety situation. If at any time safety becomes an issue we will alter the trip itinerary or, if absolutely necessary, cancel, post-pone a trip, or end a tour early. Our Tour Leader will be closely monitoring the situation while the tours are in-progress to ensure that every tour is safe, though currently we do not anticipate any need to change the itinerary of our upcoming tours. This tour includes the cost of your visa. Your visa is part of your Jordan Pass. It is important for you to bring a copy of your Jordan Pass and to have it with you when you land in Jordan. Make sure you have a few empty pages in your passport and that your passport is valid for at least 6 months beyond the end of the tour. Please carefully read all the Tour Terms and Conditions before booking your tour. On this page you can find information about ArchaeoAdventures Tours’ policies regarding: accommodations, booking a tour, your deposit, cancellation policy, refunds, canceled tours, itineraries being subject to change, late fees, leaving or joining the tour, luggage, medical and dietary limitations, grounds for expulsion from the tour, pre-exiting medical conditions, rates, single supplement, smoking, tipping, traveler’s insurance, tour interruption/cancellation protection insurance, tour member expectations, tour payment, and other very important terms and conditions of your tour. As well as the importance of packing your sense of adventure, flexibility and humor.